Brisket Eggrolls? "Matzaroni" & Cheese? Non-gebrokts Banana French Toast? All Kosher for Passover? Unbelievable - but true! 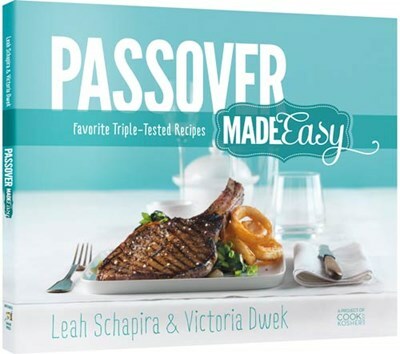 Leah Schapira, author of the bestselling cookbook, Fresh & Easy Kosher Cooking, has teamed up with noted food editor Victoria Dwek to create Passover Made Easy, a cookbook that puts the "wow" in Passover meals with creative and original recipes that you'd never believe could be made with Passover ingredients.